Essential upgrades and repairs to the South Bore could be done without having to close the tunnel completely for extended periods of time. At this stage it seems viable to do these repairs mainly at night, when traffic volumes are at their lowest, to ensure the tunnel can be operational during the daytime. 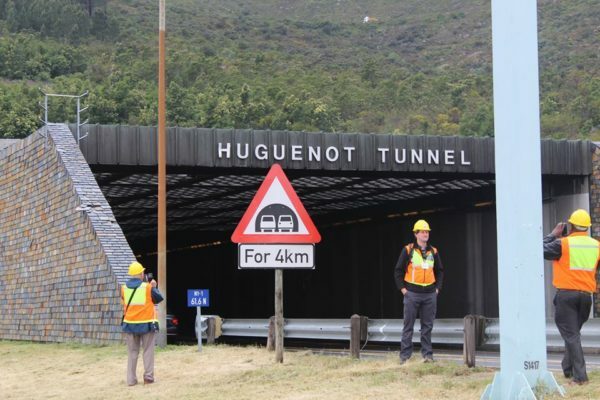 The South African National Roads Agency (SOC) Limited (SANRAL) has investigated various options for urgent and necessary upgrades and repair work to the current operational South Bore of the Huguenot Tunnel, with minimal disruption and inconvenience to the road user a vital aspect of the planning. Randall Cable, SANRAL Western Region Manager, said: “Over the past few months we have fielded various questions regarding the closure of the tunnel and the duration thereof while upgrades are underway. In considering the travel patterns of road users, peak traffic times, the economic impact of a full-scale closure and detour routes, we have concluded that the essential upgrades and repairs to the South Bore could be done without having to close the tunnel completely for extended periods of time. From this engagement two outcomes were clear. SANRAL must (i) ensure that enough systems are in place to communicate with road users to direct them to safety in case of an emergency in the tunnel and; (ii) to design and implement the commissioning of the North Bore to ensure the tunnel meets international standards in terms of safety and operations. Refurbishment of the South Bore is currently planned to commence in the second half of the year and to be completed by January 2020, while construction on the North Bore is targeted for January 2021. The twin-bore operation could be effective by December 2025. Alternative routes are available and include Paarl – Du Toit’s Kloof Pass – Worcester (±62 km) and Paarl – Gouda -Tulbagh – Worcester (±121 km). Depending on origin and destination, the N2 is also an option. “In the coming months we will make final announcements with regard to the scheduled repairs and upgrades to ensure that road users are fully informed of the work being carried out and the effects this may have on traffic flow,” concluded Cable. The key is to ensure that the agency gives real-time, accurate information to road users, so they can plan their trips accordingly.